Williams first displayed his work by tagging local billboards, storefronts, and playgrounds using HYPE as his graffiti tag. Silent Nightclub is the sixth album from Richard Cheese, released September 26, 2006. She rose to fame in 2008 for her imitation of Beyoncé Knowles and was given the title "the Japanese Beyoncé." So Fresh: The Hits of Winter 2004 is a compilation of songs that were popular in Australia in autumn 2004. This station is licenced to broadcast all over Lebanon. The Polar Express: Original Motion Picture Soundtrack is the soundtrack to the animated film of the same name, released in 2004 through Warner Sunset Records. "I Miss You" is a song by American recording artist Beyoncé, taken from her fourth studio album, 4. From 1989-1992 the award was known as the R&B/Urban Contemporary Single - Female. It was released on November 15, 2008, by Music World Entertainment and Columbia Records. "Ring the Alarm" is a song recorded by American singer Beyoncé Knowles for her second studio album, B'Day. The NAACP Image Award winners for Outstanding Female Artist: Naomi Watanabe is a Japanese actress and comedian. Michael Brown, professionally known as Michael Ealy, is an American actor. He is best known for being the manager of the Grammy award winning multi-platinum R&B girl group, Destiny’s Child. Now That's What I Call Music! 15 was released on March 23, 2004. J-Wave airs mostly music covering a wide range of formats. 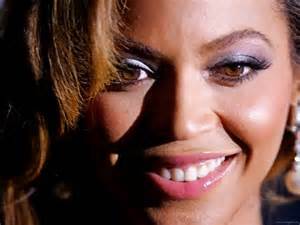 "Déjà Vu" is a song by American singer-songwriter Beyoncé Knowles, featuring vocals by rapper Jay-Z. The 37th People's Choice Awards, honoring the best in popular culture for 2010, were held on January 5, 2011 at the Nokia Theatre in Los Angeles, California, and were broadcast live on CBS at 9:00 pm ET. Queen Latifah hosted the event for the first time. The 2003 MTV Europe Music Awards were held at Ocean Terminal, Edinburgh, Scotland. Text and music are by Bruno Coulais and Christophe Barratier. Now That's What I Call Music! 65 or Now 65 was released on 20 November 2006 both digitally and on Compact Disc. It was released on July 20, 2010 and contains 16 songs like the 16th album. "Vois sur ton chemin" is a song from the 2004 film Les Choristes. Tokio Hot 100, also known as McDonald's Tokio Hot 100, is the official music chart program of J-Wave and also the flagship program of the Japan FM League's Hot 100 music chart series. The MTV Video Music Award for Best R&B Video was first awarded in 1993, and was given every year until 2006, as the following year MTV revammped the VMAs and eliminated all of the genre categories. On July 20, the nominees were announced. "Haunted" is a song by American recording artist Beyoncé from her fifth studio album, Beyoncé. The BET Awards for Best R&B/Pop Artist is split between the overall best male and female contemporary R&B and soul singers who have released an album the previous or same year.